Community Blog by Panzadolphin56 // Boss Battles - When do they ever make sense? Can't live with 'em, can't have closure with genuinely satisfying gameplay segments without them. ...well, atleast that's what we generally tend to believe. 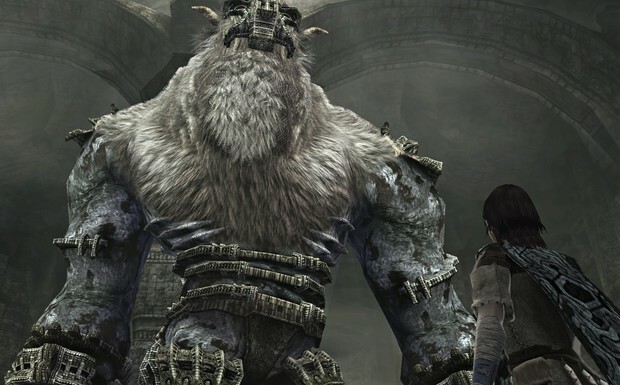 And who could blame us for thinking it, bosses have been an integral part of gaming for a long time now - but why do bosses exist in the first place? Do we need them? While I can't sit here and argue about who was the first developer or what was the first game to decide that a boss was a good idea I think speaking more generally they've risen to prominence in games specifically because of what they represent. Much like the 'big bad' character that the protagonist ends up fighting at the end of a movie or book, or like the set piece action sequences you get, bosses in games help to signify the end of a block of story or a section of a game � in much the same way as you might change location between chapters or levels; its a sort of mental marker for our experience. 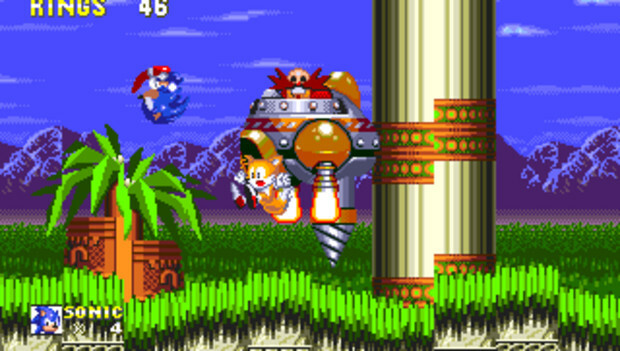 They also offer a more prominent challenge or obstacle for the player, a change of pace � a unique character to fight who isn't 'just another' indistinguishable supernumerary. Broadly speaking I think this is why bosses have been so integral to games for as long as they have � unlike in movies or books where obviously you don't have hardware limitations as to what action can go on (though you obviously might have financial and logistical limitations in terms of making a movie and Stephenie Meyer's hormonal teenager imagination with a book), games have hardware but also disc space limitations. Hardware limitations are a big problem even today but were an bigger problem for earlier generations of console. You couldn't put a whole lot on-screen - nor in a whole lot of detail, and you also didn't have a whole lot of storage space for multiple sprites/models/textures. So rather than doing less and keeping each fight sequence unique games instead opted to use repeated instances of the same enemies (think of games like Streets of Rage where you fight the same gutter thugs over and over again, that sort of thing), and supplement those repetitive fight sequences with (relatively) unique boss fights. 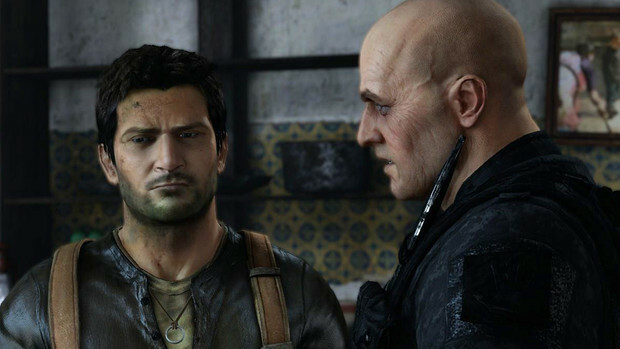 It was a compromise based off the limitations they had to work with � hardware but also financial and physical � afterall, unlike with a movie or book if a game's developer does choose to add extra unique content that means more work for somebody. Bosses in that sense played (and still do play) a vital compromise role in a lot of games to keep them feeling memorable but also not unnecessarily limit the game in terms of scope. However, the thing is that as the definition of a game has expanded in the last few decades, and the sort of things we can expect in terms of experience from a game have diversified, bosses in games have become one of those aspects of games that for some have just been taken for granted as necessary � even when they don't make a whole lot of sense to the game in question. I mean where do we think it makes sense to have bosses? Personally, I always think that Survival Horror and Shooters have tended to have bosses that have stuck in my mind as making sense, but does every Survival Horror game need bosses? Does every Shooter? What about Adventure games? Or Puzzle games? Or Visual Novel games? Where do bosses make sense and where don't they? Arguably throughout much of what I write there are trends and recurrent themes, among them the sense that giving the player an experience that fits the point of the game is key to how much of an impact the game has on the individual. What does this mean? Well, generally what we want from a game is a bit of fantasy but also a bit of vaguely realistic enjoyable entertainment � even when we're playing the most fantastical of games or watching the most fantastical of movies we still look for inconsistencies and things that don't quite work, even though we accept the more ridiculous aspects; I'm sure we all know somebody who watches Star Wars � or any sort of Sci-Fi show or movie and points out the minor inconsistencies yet happily overlooks the fact it's set in space on starships and there are aliens all over the place. The best films, the best books, the best games, are those that seem to click for us, they may be fantasy, they may be unrealistic in a lot of ways but they're coherent within themselves � even if they don't make sense in the real world, they make sense in a world (their own), a little like dreams really. 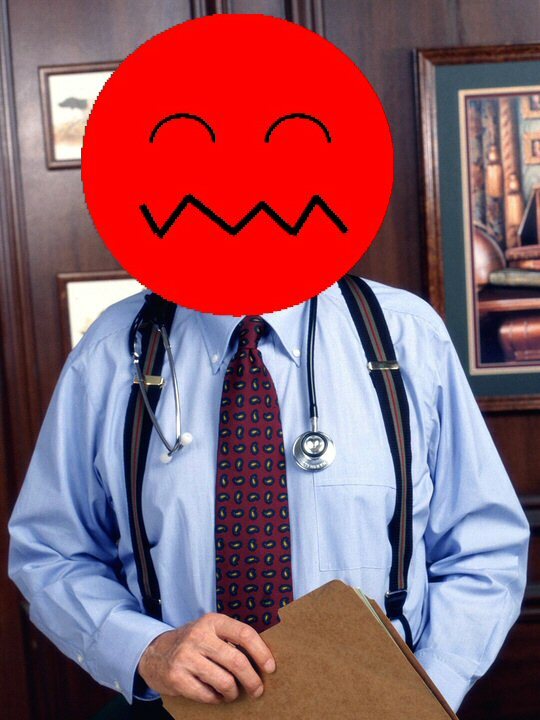 Well, bosses like any other aspect of a game have to fit into the whole, the player has to feel they connect well with the rest of the game. If they don't then the game starts to make no sense and sort of falls apart. 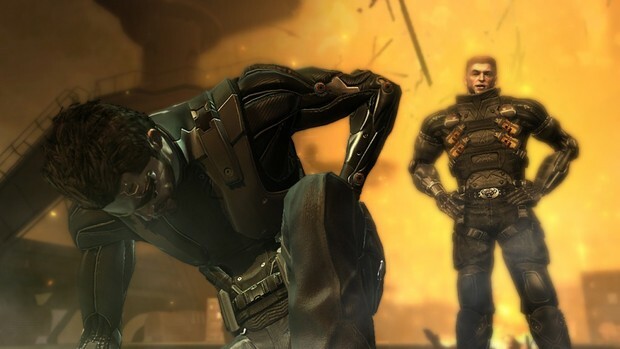 Looking at why Shooters have bosses it's pretty obvious that it's a challenge thing � the point of those types of games is that you're challenged to fight your way through levels to finish them, and the boss is the last speed bump before you move onto the next level. 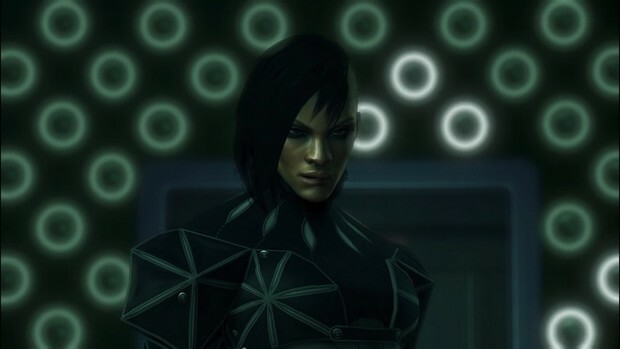 Likewise they make sense in some (not all) Survival Horror games because essentially those games are also about challenge � a different sort of challenge, one based more around the weakness of the character and the need to survive rather than an empowering fantasy like most shooters are, but a challenge all the same. So again, it usually makes sense for them to have bosses. The boss, again, represents that heightened bump along the difficulty curve as you progress towards your next objective, and serves to remind the player that even if they aren't particularly afraid or challenged by the regular monsters that there are always more dangerous foes about. Take Resident Evil for example, principally say 2 (though we could easily be talking about any of them), the average zombie/zombie dog/licker, does offer some challenge and is a threat, but they can die. And once eliminated they're no longer a threat, unless more repopulate an area. 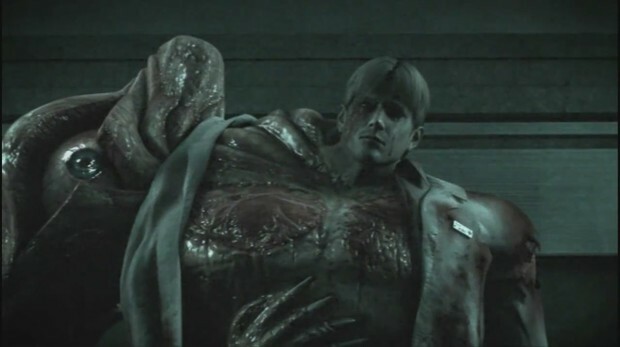 William Birkin on the other hand represents a recurring threat, sure he's not all that tough compared to some bosses in other Survival Horror titles but in terms of the story he doesn't die, he keeps coming back, and the few fights you do have with him are tense and challenging. In that sense, having William Birkin (and the other bosses in the game), makes sense to the type of story, the type of game, Resident Evil 2 is. The Resident Evil games are fundamentally about that sort of action-movie experience. They're hero stories, and having those boss moments, and emphasising the difference between those moments and ones with ordinary enemies, helps build that sense of accomplishment in the player when they finally do beat the game. We probably don't need that in a puzzle game or an adventure game necessarily though � though again it depends on the type of game it is, maybe the point of the game is to encourage a sense of accomplishment through the challenge of overcoming unique enemies. 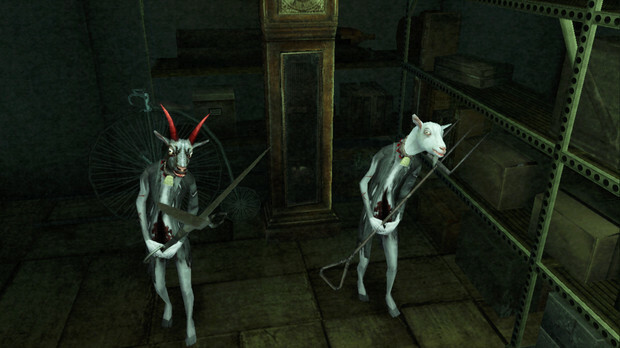 Probably the worst instance of bosses in a game not really making a whole lot of sense for me was Silent Hill 4. 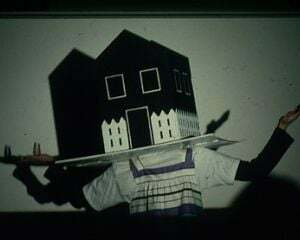 You play a man who one day realises he's trapped in his apartment and is unable to leave, as meanwhile a series of weird events seem to occur around the apartment building he's in � really his only way of monitoring the outside world being to watch out his window or spy through a hole in the wall, that is until a mysterious cavernous tunnel appears in his bathroom and he's able to climb through that hole to explore bizarre worlds to piece together the story of what's going on. It's a really interesting premise, unfortunately the game is bogged down in rather mediocre gameplay, kind of pointless level design and crappy combat. Oh, and terrible boss fights. Admittedly, probably a large part of how terrible the boss fights are is how crappy the combat is, but generally they also don't make a whole lot of sense (like a lot of what makes up the actual gameplay). You end up fighting one of those classic 'hit the special weakpoint till an event happens' type final bosses, having to dodge and attack as the boss slowly alters. It's boring to say the least. It also doesn't make a whole lot of sense in the context of the story. Whereas a game like Resident Evil 2 is about being a sort of action hero, and games like Streets of Rage or say Contra or even Gears of War are also to some extent also about playing the hero, and so it largely makes sense for them to have bosses, it doesn't make a whole lot of sense with Silent Hill 4. It's been awhile now since I've played it, but principally I remember the game was about the story, a very slow, very old-fashioned story � I mean christ, you were 'stuck' in your apartment for most of the game, it was one of those stories that was by it's nature meant to be slow, if it was going to work properly. It was haunting in a sense, the premise atleast � you were basically exploring this sort of spooky ghost tale, and into that was shoe-horned combat and bosses because (I guess) they assumed it being a Silent Hill game meant it had to have those things, when really it would have made more sense for the game to have almost no combat and just left you to explore spooky, empty corridors. 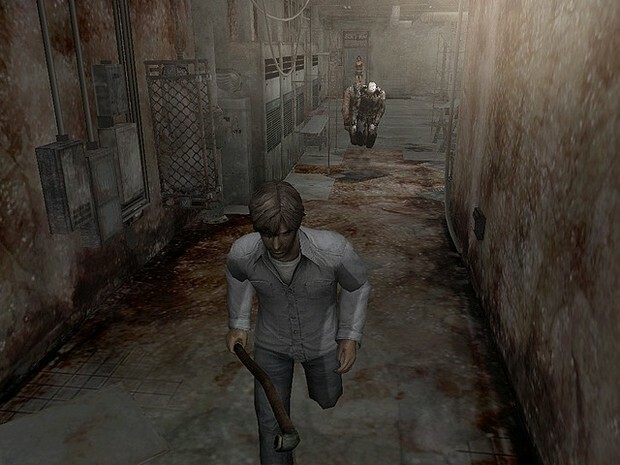 It wasn't quite as bad as that with Silent Hill 4 but it's that sort of attempt to merge two very opposing types of experience that they tried to do, and it ended up sucking. I daresay a part of why it sucked was how poor the enemy design was in general but having bosses didn't help any. Which is rather ironic, considering personally I always felt that the bosses in the earlier Silent Hill games had worked really well and made sense overall, but with 4 it just felt nonsensical. And generally speaking this is where I think bosses either work or don't work - if they don't make sense in the context of the game then they may well fail as part of the game, or at the very least leave the player feeling indifferent. Again, it's that sense that having the bosses in the game doesn't quite match the intent of the game � the survival and escape aspect. Yet they put it in because they felt that games need bosses if people are going to want to play them. I don't think it helped Siren much that every level ended with the words 'Mission Accomplished' emblazoned across the screen (and not an aircraft carrier in sight) either, but that's another matter. In the end bosses are like any other aspect of games, they have to feel like they largely fit the context of the game if they're going to work; obviously mechanics is a bit part of that, but if you're making a game that is primarily a slow ponderous puzzle game then a high-action boss fight at the end of the game might not make all that much sense. Then again, it might just, it always depends on the game.